Despite the expense and logistical challenges associated with medical meetings, many pharma marketers still believe in the effectiveness of these live events for communicating their messages. 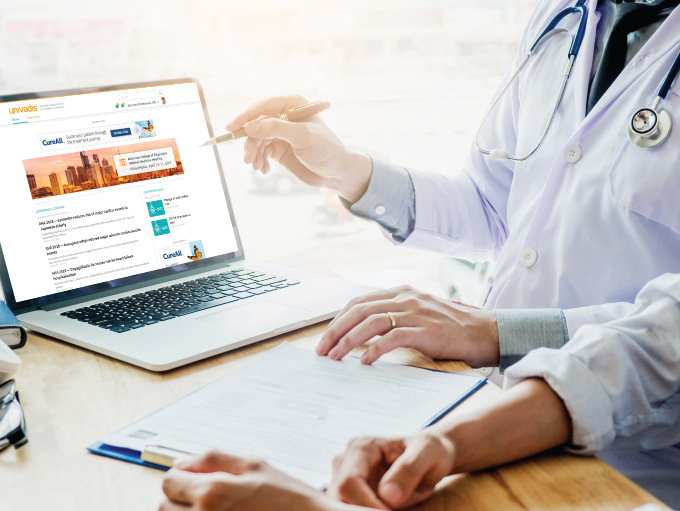 Meanwhile, physicians are expressing their interest in digital recaps of these events – in fact, 76% of physicians express interest in receiving email recaps of conferences they were unable to attend. (Source: DRG Digital/Manhattan Research, Taking the Pulse® EU, 2017). We’re helping our clients maximize their medical conference investment through digital channels. Our new eConference Coverage offering leverages the credibility and scale of our Univadis platform to maximize your impact and return on investment — both before and well after the event itself. Click here for more information about this new digital offering, available for both US and EU audiences.